Are you a city? A county? Both? Neither? What ARE you? The western third of Anthem, Ariz., was annexed by the City of Phoenix. Therefore it has city water, trash and police services. The eastern two-thirds of the community is unincorporated county with private water and trash and sheriff service. The entire community has a fire district, though the west side also receives city fire services (with the closest station more than 15 minutes way, if there’s NO traffic). This identity crisis that started 20 years ago with the community’s birth left people confused. The creation of the Anthem Community Council helped once the master plan developer left town after buildout in 2008 and turned over the keys to the “city” (for lack of a better word). The 27,000-ish residents didn’t really know who to call or when, but they knew that at least someone knew. The solution? Do what’s best for the people. And the Intergovernmental Telecommunications Agreement was born (and later, the Regional Wireless Cooperative). The Daisy Mountain Fire and Medical Department led the way, crossing the dividing line to respond to ANY fire – regardless of whether it was city or county – because they shared the same telecommunications channels. This led to a similar IGA with our county sheriff and city police, with the creation of a community substation. 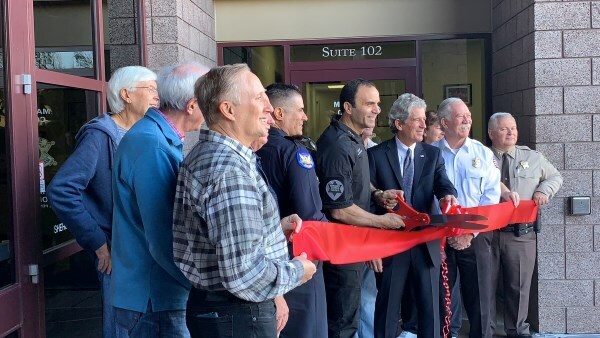 Within our Civic Building (aka City Hall), the Maricopa County Sheriff’s Office and the City of Phoenix Police, as well as the Department of Public Safety, Arizona Rangers and when needed, Border Patrol and/or Homeland Security has access. The officers all have security codes to enter. They share space, desks, holding facilities, a “safe place” and other features that regardless of their “district” or “boundaries,” they work for the people. From a communications standpoint, making sure people understand this is critical – and certainly affects their quality of life. But being on message is easier when all of the agencies are on the same page – which miraculously, they are. As the communications director, I must ensure that it stays that way. When a new commander comes on board (which happens often in these agencies as district line changes/promotions occur), I bring everyone back to the table. We meet, establish a relationship, exchange mobile phone numbers, and get off on the right foot. We host annual Public Safety Days, where ALL of these agencies interact with the public, and we have quarterly Public Safety Roundtables, where ANYONE can come to ask questions, share concerns and get answers. Our Coffee with a Cop transitioned to a Public Safety Breakfast, with all of the agencies represented. In December we had a grand re-opening of our substation in the Civic Building. And while it was “hosted” by the sheriff’s office, Phoenix Police, Daisy Mountain Fire, Neighborhood Watch, North Valley Posse, the Arizona Rangers and Department of Public Safety were all in attendance to show support and stand together as a united front for our residents. The Crisis Communications Plan that our Communications and Public Affairs office oversees ensures that all agencies work together, regardless of the location of the incident. All of the agencies also include our office in their plans. A good relationship with all of the chiefs also is paramount in making sure this arrangement works in times of deployment. Each agency has its own PIO, for example; and I serve as the PIO for our community at-large. So we all know what needs to be done in what order when times of crisis occur – it’s spelled out AND practiced in advance. 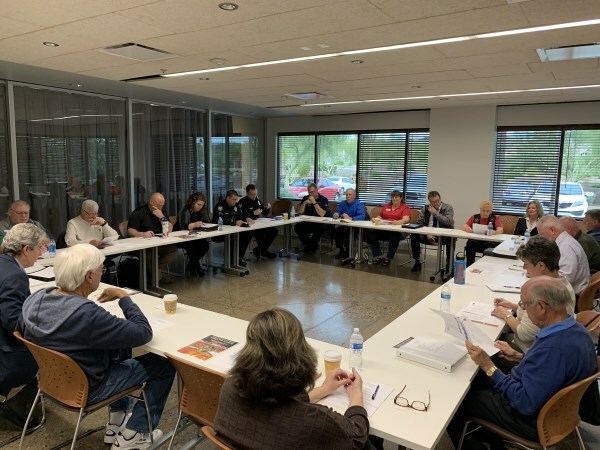 Our residents still aren’t sure whom to call sometimes when it comes to their HOA questions, how to activate their Community Center membership or when they need a permit to build a pool, but they do know that when they call 911 or need help, someone will be there. And it won’t matter to that someone what jurisdiction the person in need is in. At the end of the day, I’ve come away with a different view of all of this border sharing and who-does-what approach: Focus your time and energy on matters that truly matter. Making sure people are safe is something none of us can take for granted, or squabble about when it comes to being territorial. If we strive every day to do what’s best for the people, we all win.